Saving money at Target can be simple if you combine your savings apps and credit card with store and manufacturer coupons. To get a handle on how Target handles coupons, check out the following highlights from the company's coupon policy. These guidelines apply to all coupons accepted at Target (Color Checkout Coupons, Internet Coupons, Mobile Coupons, Mailed Coupons, Coupons from Newspapers and Magazines, etc.). 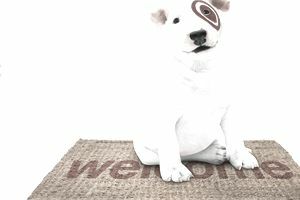 Target allows you to use one manufacturer coupon (paper or Cartwheel digital), one Target coupon (paper or digital), and one Cartwheel offer per item (unless otherwise noted on coupon). Target reserves the right to accept, refuse, or limit the use of any coupon. Limit of four identical coupons per household, per day (unless otherwise noted on coupon). All valid coupons should be presented to the cashier during checkout. Item purchased must match the coupon description (brand, size, quantity, color, flavor, etc.). Coupon amount may be reduced if it exceeds the value of the item after other discounts or coupons are applied. Target does not give cash back if the face value of a coupon is greater than the purchase value of the item. All applicable sales taxes are paid by shoppers at the full value of the item. Target accepts valid internet coupons that contain a clear bar code that can be scanned. Target does not accept internet coupons for free items with no purchase requirements. BOGO coupons cannot be combined (i.e. you cannot use two BOGO coupons on two items and get both for free). Unless stated otherwise on the coupon, the use of one Buy One Get One Free coupon requires that two of the valid items are presented at checkout of which one item will be charged to shoppers and the second item will be discounted by its full retail price. Target coupons reduce the refundable amount and the coupon value will not be given back upon return of the merchandise. Coupons are void if copied, scanned, altered, transferred, purchased, sold, or prohibited by law. Target does not accept counterfeit coupons. Target can't accept coupons from other retailers, or coupons for products not carried in the Target stores. Target does not accept expired coupons. You can print the Target grocery coupons from the coupon page on the Target.com website. Target sales run Sunday through Saturday. You can also sign up to access deals through the company's Cartwheel program. For questions about using a specific coupon, stop by the Guest Service Desk and ask to speak with the Guest Service Team Leader. If you still have questions after speaking, you can call the Guest Relations team at (800) 440-0680.